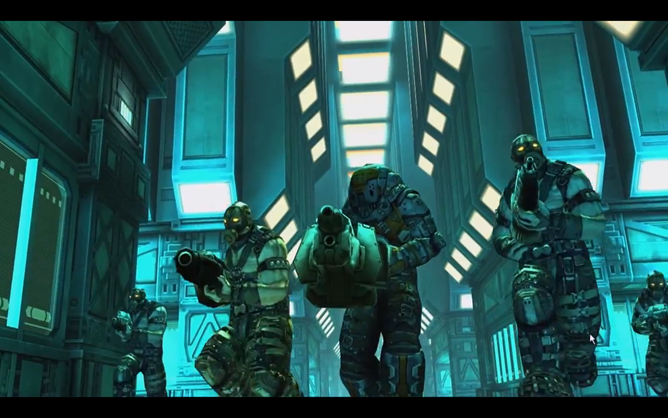 A perfect example of this is MadFinger's latest project: Shadowgun, which we last saw in May. The OTS (over-the-shoulder) shooter puts you in the shoes of John Slade, an assassin hired to surreptitiously sneak into Dr. Edgar Simon's heavily guarded mansion. The game will be launching in just 5 days (9/28)... in the iOS App Store. We Android fans will, sadly, have to wait some time more to get our hands on this monster-infatuated adventure. Furthermore, as much as we hate to end such an exciting post on a bad note, it is not yet certain whether all Android devices will be compatible - Droid Gamers says that "there will be both a Tegra 2 and Kal-El version of this game," which almost makes us think that Shadowgun will be available exclusively through NVIDIA's Tegra Zone. So cross your fingers and hope for the best - this gem is worth it.